2014 batch by introducing a Verbal Ability section compulsory for every student and a cut off CGPA (usually lies in range of 7.5 to 8.5) to skip Analytical Ability Test (informed a few days before they visit your campus). Also top five students of five branches viz. CSE, IT, ECE, Electrical and Mechanical are eligible to skip the Analytical Ability Test but is likely to change from college to college. 2. Interview ( T.R. +M.R. + H.R.). In this round you will get a sample scenario and a few phrases. Based on this you have to write an email in a range of words specified in the question within 10 minutes. Your answer will be automatically submitted as soon as 10 minutes completes or you can manually submit the answer. Your answer is also submitted at a frequent interval of time, so even if a power problem is encountered, your test will again start under same circumstance i.e. you will get the remaining time along with the email you had written so far. Usually email of 70 to 80 words is considered the best. Here are a few tips to crack Verbal Ability Test of TCS. 1. Include all the phrases given in the question. If you miss even a single phrase, your chance of getting selected is low. I got this information through a person from Talent Acquisition Group of TCS. So avoid leaving even a single phrase. You can use phrase in any order but it should be written as it is given in the question. 2. Include a proper salutation. All business mail starts with salutation “Dear”. So always include “Dear” as salutation. Addressing the recipient by name is preferred. So use person’s title (Mr. , Mrs. Or Ms. ) with their name followed by a comma. If you do not know the name of the person you writing to use “Dear Sir/Madam” or “Dear Sir or Madam” . 3. Use KIS (Keep It Simple) Strategy. You email should be precise and crisp. Use about 70 to 80 words in your email. It should be to the point and simple. 4. Use a proper form of leave-taking. 5. Sign the mail with your name as given in the question. Sign the email with the name provided in the question. Do not use any other name of your choice. They always provide name to sign with so avoid making silly mistakes. 6. Proofread your email for all phrases given in the question. Read your email to ensure that you have not missed any phrases. This is highly recommended and must to ensure your success in this round. 7. Proofread your email for content. Make sure you have not omitted any important details and your content is simple and to the point. 8. Proofread your email for spelling and grammatical mistakes. Make sure you have not made any spelling or grammatical mistake. Reading your email carefully to correct any grammatical or spelling mistakes if made. Practice a few Online TCS Verbal Ability Test here asked during recruitment process in different colleges across the country. It consists of 30 questions to be solved in 80 minutes. Question difficulty level spans from easy to difficult. You will encounter a few star marked question carrying high marks but is difficult to solve. Try solving the question you know well and skip the question confusing question. After you scan all the questions, try unsolved question. In this way you will save your time. You can easily navigate through the question. Also remember, all solved question will appear differently on question bar so that you can easily count the number of question solved. Try solving at least 20 question. The cut off lies usually around 20 question but may depend on the level of difficulty. 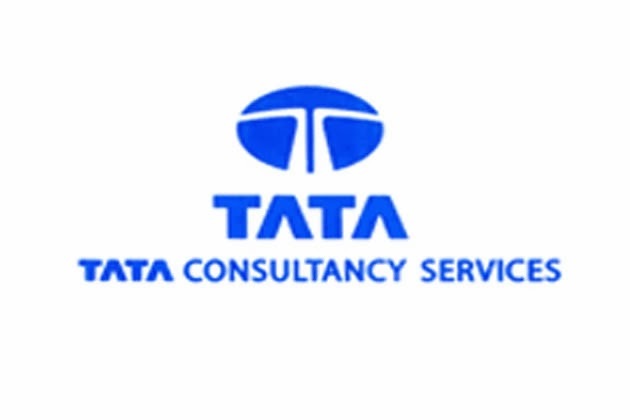 Here are a few resources for TCS Placement Preparation or Analytical Ability Test of TCS. Interview round will consist of three round i.e. Technical Round + Managerial Round + HR round. Usually you will face a panel of three people for all these three round at once but sometime separate round can be conducted if you do not get interviewed by three people in first round. The very first question that you can expect in is “Introduce yourself?” . This is a very intelligent question and you can always take the interviewer where you know everything. Answer intelligently such that the next question can be asked from what you have just mentioned in your introduction and remaining questions will follow the same course. Check out a few resources for more information about Interview round ( Technical, Managerial and HR ) or TCS Placement Preparation. Have query? Drop a message below.